Nestled among the trees off a country road, private and quiet. 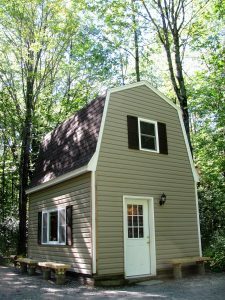 This cottage is a love nest for two or cozy lodging for four. Cottage is warmly decorated, combined kitchen and living room that makes a cheerfulness atmosphere. Amenities: TV, Wi-Fi, AC, refrigerator, stove top, sink, micro-wave and toaster. Dogs OK. Kitchen is complete with plates, cups, glasses, pots and pans etc., for your cooking needs. Spiral stairs lead to second floor bedroom which also has a 32” TV. Beds include a full size and adult size bunk bed, plus a deck off bedroom. Bathroom with no sink and features an electric toilet. The deck has a small table with two chairs that invites you to enjoy the view. Follow the outdoor stairs down and beneath deck there is a secure outdoor shower which brings back that old cabin charm. 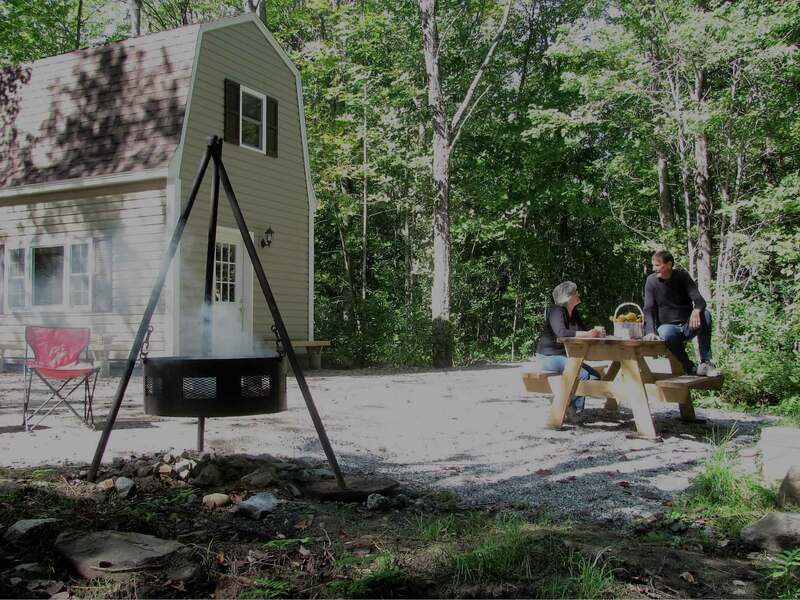 The site around cottage includes; grill, picnic table and fire pit. Suitable parking for two vehicles, also space for boat trailer. The cottage was built 2016 by the Parker’s who are semi-retired and live on the other end of the 5 acres property. Parker Cottage. © 2016 All Rights Reserved.